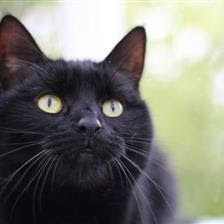 Sooty is a friendly and affectionate cat who likes her independence. She will greet you with a meow when you arrive back home. Sooty enjoys playing with a toy ball, cotton reel or fishing rod toy. She like going out to explore before coming inside to sleep somewhere warm and cosy. If you would like to adopt Sooty, click on her profile to find out more. 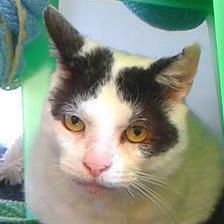 Katie sadly came in to the Heydon Centre because her owner passed away. 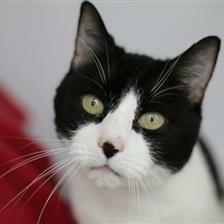 She is a very gorgeous and affectionate little cat who is looking for a quiet and calm home. She likes to be the centre of attention and loves people so would prefer to not share her life with other animals. She also loves her food and likes to sleep the day away in a warm, cozy bed. If you would like to know more about Katie click on her profile here. Snowball says he is a worried boy and would like a very quiet, calm household and a family who will take the time to be his best friend. He likes to potter about inside and outside in a calm area. If you would like to know more about him cick on his profile here. Disclosure: We are not affiliated with the charity mentioned in this post in any way. It is one of the animal charities we support and just want to help spread the word for animals in need. This post does however contain some affiliate links. This means if you click on the link to purchase any of the above items, I will receive an affiliate commission. Read full disclosure policy here. Sending purrs that these three find their furrever homes soon! I love the kitties you chose today! I hope they find homes soon! What a wonderful series. I hope all of these beauties find homes quickly. I hope all of these babies find loving homes soon. Katie reminds me of my Natasha.